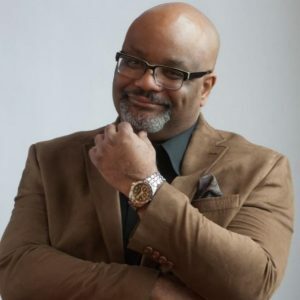 Black History Studies presents ‘An Audience with Black Wealth Expert Dr Boyce Watkins’ live and direct from the USA. In “Black Friday: What Legacy Will You Leave” Ric Mathis examines the Economic Psychology of African Americans spending habits and the importance of leaving a Legacy. These financial and psychological factors have contributed to African Americans transferring a small amount of wealth to the next generation. However, these are the same historic stories that can inspire us to break down such economic barriers and recycle the $1.1 Trillion dollars that leaves our community annually. It is imperative that we begin to discuss such things in order to ignite change in our spending habits that will allow us to leave a lasting legacy for our children. Featuring Dr Claud Anderson, Dr Umar Johnson, David Banner, Hill Harper, Cynthia Bailey, Judge Hatchett, Jacob York, A.J Johnson, Chike Akua, Ona Brown, Johnny Gill, Dr George Fraser, Mike Roberts, Eric Thomas and Lynda Harris. 6:30pm – Feature film – Black Friday: What Legacy will you leave? The event will take place on Thursday 12th October 2017 at Hackney Attic, Hackney Picturehouse, 270 Mare Street, London, E8 1HE. Hackney Picturehouse is a five-minute walk from Hackney Central Overground station – exit the station and turn right onto Mare Street. Easily accessible by bus, with routes 48, 55, 106, 254, 277, 394, N55 and N253 running directly near the cinema. Venue is wheelchair accessible. Doors open at 6.00pm . The event will start 6.30pm sharp! Tickets for this event are £20.00 per person. Over 18 year olds only. Places are limited so in order to avoid disappointment secure your place NOW! (Please note, video recording and photographs will be taken at this event and may be used for promotional purposes). This event will proceed The Dr Boyce Watkins Black Economic Empowerment Festival taking place in London from 13 – 14 October 2017 at House On The Rock, The Rock Tower, 49 Tufnell Park Road, London, N7 0PS.